Thirty years ago this week, Geraldine Ferraro was chosen by Walter Mondale as his running mate on the 1984 Democratic ticket, making history as the first woman to become a major party’s national nominee for office. According to Rutger’s Center for American Women in Politics, women accounted for only 13.4 percent of Congressional seats at the time of Ferraro’s nomination. Today, women account for 18.5 percent of seats. A women has yet to serve as vice president, let alone occupy the nation’s highest office. Where do women stand in politics today? What was the impact of Ferraro’s nomination, and what is its legacy? How do factors such as media coverage affect women’s bids for office, and the work they do once elected? 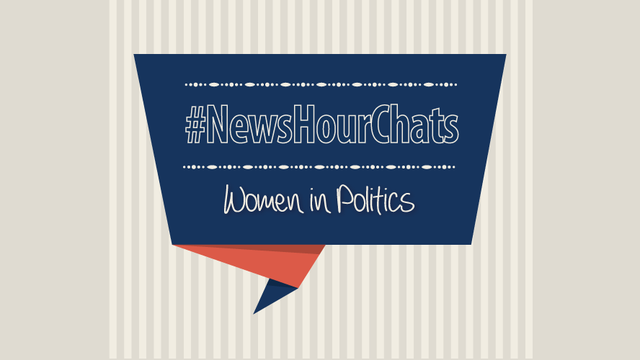 @NewsHour invites you to participate in a Twitter chat this Thursday, July 17, from 1 to 2 p.m. EDT on the subject of women in politics. We will be joined by Ms. Ferraro’s daughter, Donna Zaccaro (@DonnaZaccaro), and NewsHour’s political editor and senior producer Domenico Montanaro (@DomenicoPBS). Follow along and chime-in using #NewsHourChats.